I am a big fan of American sitcoms and always on the lookout for the one. 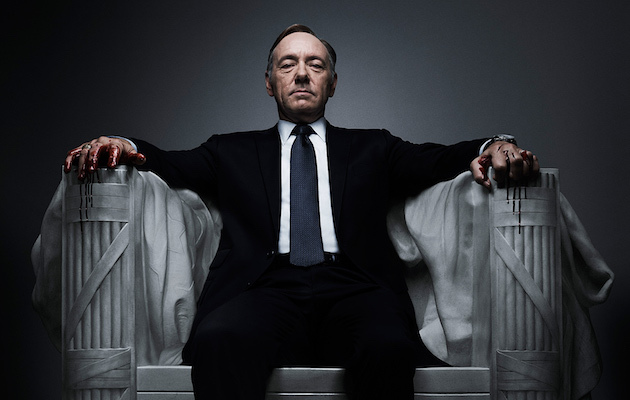 From past few days House of Cards have been doing rounds on social media and that's when I remembered that last year my colleague had suggested me about it. 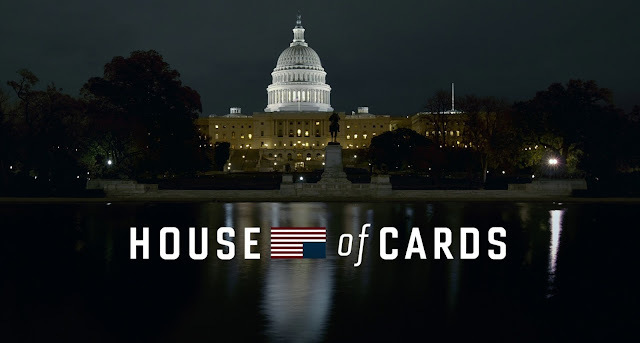 House of Cards is an American Political Drama web television series. Politics is something I had never been a fan of but this reason it self got me interested and I put House of Cards on my watch list. Yesterday when I downloaded Netflix, as you can say destiny, House of Cards came as one of the first in the list wherein you have to pick your interest areas. I then watched the first episode of much talked about the season 5 of the TV series. I know I should have started from the first season but then I played by chance. I wanted to know what is all the fuss about. It was gripping without doubt. Started with Claire speaking in to the camera and ended with Frank doing the same with the same intention but oozing out different emotion. Man! He is a killer. Also, I couldn't help but notice the uncanny resemblance between the character Frank Underwood and present the president Mr. Donald Trump. Well, this should be interesting. In the whole episode I kept wondering how Frank would have done what he has done till date and if Claire is the first lady what is she doing with Yate. There seem to be so much when it comes to controversies. I gotta watch it now, all the seasons. So Apt. I did observe the bits of the quote in this episode which is Chapter 53 in the series. I wonder how a political drama could hold my attention for 55 long minutes. As it finished, I felt it all went in a blink. I was literally hooked. If you are in for some political adventure, want to understand politics literally and love Kevin Spacey, you should watch House of Cards. I loved him in Superman and I think he is the no. 2 reason why I am going to watch it. You have no reason to not watch it!